Blue Haven Marina, Providenciales, Turks and Caicos. Luxury yachts at Blue Haven Marina, Providenciales. 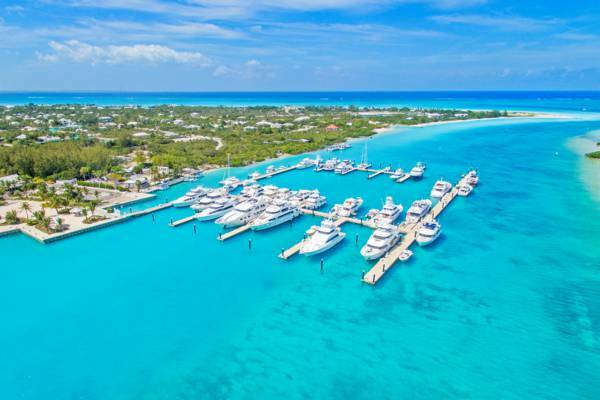 Blue Haven Marina is a luxury marina located in the picturesque Leeward Going Through Channel in the Leeward region on the east coast of Providenciales. This premier complex consists of a network of floating docks, and is suitable for vessels with a draft of up to 8.5 feet (2.6m). A counterpart to the marina is the onsite Blue Haven Resort, which is home to two restaurants, a spa, and a small grocery store. The waters of the Turks and Caicos can be very challenging to navigate, as the thousands of shipwrecks that have taken place over the centuries can attest to. It’s possible to approach to within two miles (3.4km) of the marina while remaining in the great depths off of the Caicos Islands plateau, after which the approach travels through Leeward Cut in the barrier reef off of Providenciales and past the nature reserve islands of Little Water Cay, Donna Cay and Mangrove Cay. A guide boat is available upon request and is recommend for all new vessel arrivals to the marina. Radio on VHF channel 16 for details. 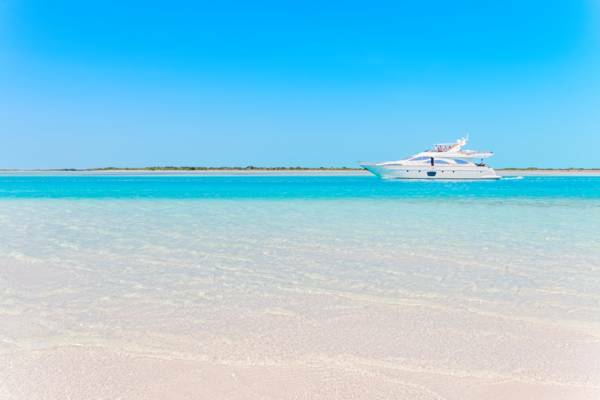 For information on customs and immigration clearance, cruising permits, and anchoring permits, see Turks and Caicos Yacht and Cruising Guide. Blue Haven Marina is a convenient complex to refuel and restock at for vessels planning to moor at one of the Large Vessel Anchoring Zones (LVAZ) off of Grace Bay, Fort George Cay and Parrot Cay. A luxury yacht departing from Blue Haven Marina at Leeward Going Through Channel. The luxury Blue Haven Resort is located onsite at the marina. 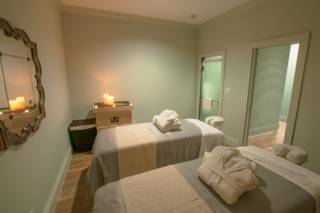 This accommodation features 35 suites and 16 guestrooms, the Fire and Ice and Salt Bar & Grill restaurants, a business and conference centre, and the Elevate Spa. For those looking for the height of convenience, Blue Haven Resort offers all-inclusive stay packages, which include dining, drinks, and access to the sister resorts of the Alexandra and the Beach House. Onsite is also The Market, a small yet select grocery store and deli. 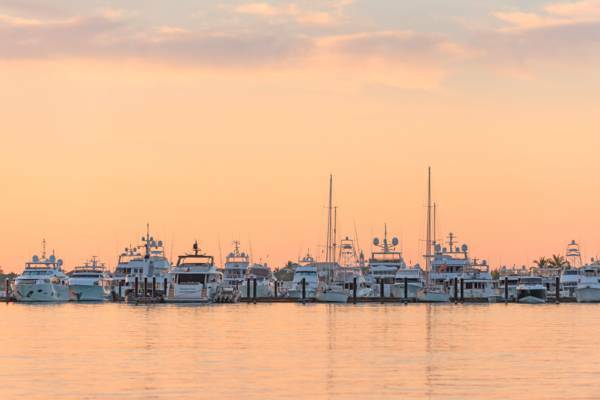 The marina offers two collections of vessel slips: a network of floating docks in the channel, suitable for yachts of up to 220 feet with an 8.5 foot draft, and sheltered inland canal slips for smaller vessels. Blue Haven Marina provides a wide selection of amenities and services, including diesel fuel (low-sulphur available), gasoline (ethanol-free available), water and electric utilities, 24 hour security, pump-out services, catering, provisioning, and laundry. The marina’s concierge is able to arrange tour and excursion bookings, rental cars, provisioning, and a wide array of other services. Caicos Marina on the south coast of Providenciales is the leader in engine and hull repairs in the Turks and Caicos. Blue Haven Marina at dawn. Directly to the east of Blue Haven Marian is the Princess Alexandra Nature Reserve and Mangrove Cay; a tranquil kayaking and paddle boarding setting. Several water sports and tour businesses operate near Blue Haven Marina, including Big Blue Collective, a premier scuba diving, boat charter and eco-tour operator, and Panoply Sport Fishing. The Leeward area of Providenciales is home to excellent beaches, and the unrivalled sands of Grace Bay Beach are a five minute drive away. Panoply offers deep sea fishing aboard a 46 foot Bertram Sport Fisherman. Half, full and overnight excursions available. 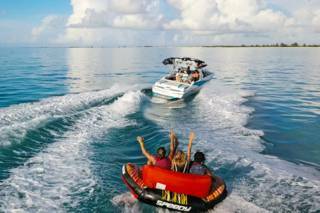 Caicos Catalyst offers private itineraries customized to their guests. The boat is a spacious 38ft motor catamaran with room to spread out and relax. The shallow draft allows you to explore the south side which is inaccessible to many other boats. Half day, full day, sunset, glow warm, kite safari tours and other tours are all offered, with a maximum of 10 guests. 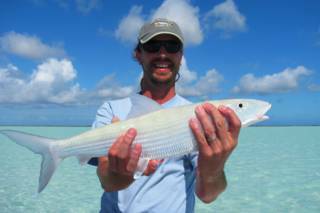 Catch The Wave specializes in bone fishing on the shallow flats found to the south of the Caicos Islands, but also offers reef fishing, deep sea fishing and snorkeling and cruise charters.